When I first got hold of the new album from Finland’s Delay Trees, I focused on the most recent single, “Hml,” which might have left me a bit misguided. That track carries with it a certain resemblance to ambling pop music of the day, but the rest of Doze is a slumbering beast of down-tempo melodies and beautiful tapestry. “Decide” opens the record, and from the minute you press play, you begin to lose yourself. Your speakers have a slight rattle, guitar chords are picked so delicately that they seem to float in the air, and Rami’s vocals drift eloquently in the far off distance. On this statement track alone, Delay Trees aims to take you on a journey, musically speaking, carrying you on the wings of their harmonies into a distant land of pop resilience. This is when the album begins to really take off, pushing your emotional state beyond recognition, into a hazy world of bliss and relaxation. The pacing of “Dream Surfer” is, again, rather slow, but it allows for a building sensation created by the vocal and the guitars, which creatively begin to ring brightly around the 2.5 minute mark, only to soften into the distance. And on comes “Hml,” a track that encourages both thought and toe-tapping; it’s a song that accomplishes that rare feat of contemplation and energy. For me, this is definitely the standout of Doze, though it might come a bit too early for some listeners. The elegant harmony of the vocals drew me immediately, both in their effortlessness and shifting of pitch. If you do anything, let your mind drift away with this tune immediately. 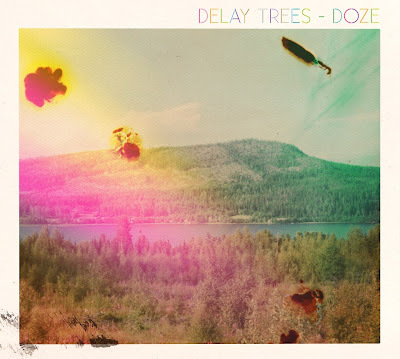 Delay Trees provide you with a touch of respite, offering the instrumental “Glacier” before moving on towards their 8 minute opus, “Pause.” Trying to write about this track has proved fruitless through countless revisions. At times, I hear faint hints of a dream pop version of the Flaming Lips, yet other times I see myself traipsing through the snow-covered woods in Yellowstone…that is until an electronic pulse kicks in. Even with that throbbing, I’m still lost in the landscape of my own mind. But all is returned to normal during the following track, “Future,” which has the most pummeling rhythm of anything on Doze. It’s coated in a foggy haze, holding onto the group’s aesthetic tendencies, yet it’s the most rocking song, giving you just a glimmer of a group still looking to forge new ground. Ultimately, however, the group is more comfortable having you drift away peacefully with them. “Only the Stars” is another long number set at the penultimate spot, encouraging more meandering of the mind, but your patience will be rewarded with a beautifully crafted tune yet again, so stay tuned. It just illustrates that Doze is an album that requires full participation from the listener. Such records are not always immediately gratifying, and often turn the audience away, but those with time and care will find themselves lost in the marvel created for us by Delay Trees. Doze is out now via Soliti Music. I’ve been trying to get my paws on a copy of the new album, which seems harder than usual, for some reason. 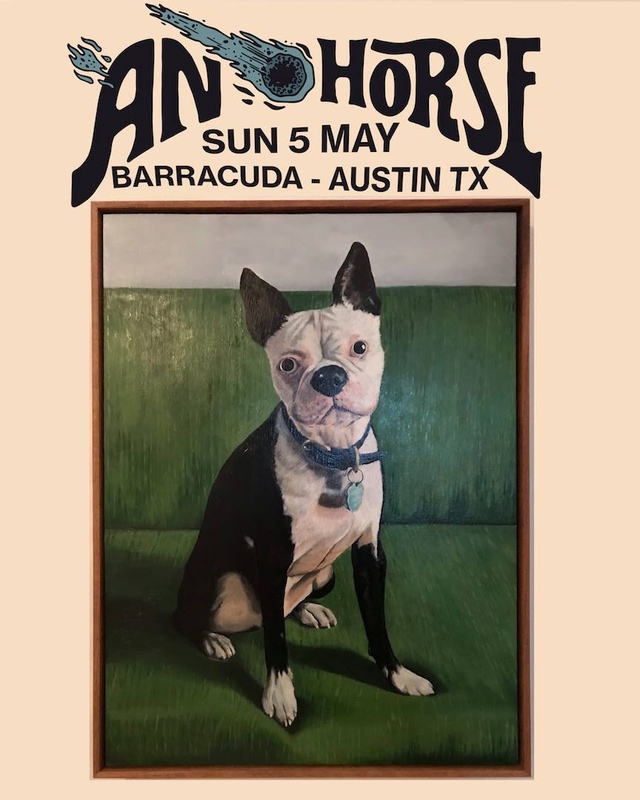 They are a fantastic band and I am highly anticipating the day when they start touring in the US. A highly overlooked and under appreciated band here in the US, sadly. At least thus far. Thanks for the solid review. I will double my efforts to find it.